This comforter set is beautiful. I ordered the purple for my daughter because it is her favorite color. The material is very soft and silky. Bring a bright and fresh feel to your bedroom decor with this Intelligent Design Laila comforter set. The set is crafted from soft polyester, and includes one comforter, two decorative pillows, and two shams (only one sham in the twin set). The machine washable set is available in a variety of stylish colors, and is reversible with a solid color on the back and an appealing chevron pattern on the flip side. I really like the colors and weight of this comforter but it really doesn’t fit a king bed very good. Unless I was shipped the wrong size, it hangs over each edge by only 3-4 inches. It’s not exactly what I was looking for and I’m slightly disappointed but it will do until I find something I love. Bought this for my guest room. Love the colors and they are true to what you see online. It only hangs over the side by a couple inches. If you want it to look like the pictures in that regard I would order up one size for extra coverage on the sides. Material is nice and the accent pillows really help complete the bed. Overall it was a good price for the quality. Delivery was also a couple days early. I bought this comforter set for my teen daughter over a year ago, and it has held up great, through many washings. The colors haven't faded a bit, and they were true to what was shown on the website. Still very pleased with this product!! I really like the Intelligent Design Laila Chevron 5-piece comforter set. I purchased the black and white with a touch of gray set for my teenage daughter. She absolutely loves it! The comforter is soft and completely covers her full size bed. The two accent pillows are well made and attractive. The pillow shams fit standard size pillows perfectly and really complete the look. I'm very pleased with this set and recommend it. Thanks, Overstock. Looks great on the bed, though I purchased for an X-Long Twin, it is not quite long enough. However, the quality is very nice, so I will keep it. The comforter and pillows showed up at my doorstep ahead of schedule and was exactly as you see in the pictures. Beautiful and Comfortable 5 Piece Bed Set! The comforter is also Reversible which is awesome if I want a little change in my room! Comes with the Comforter, 2 Decorative Pillows and 2 Pillow Cases! Got this comforter for my daughter, we both love it! It is very soft, not too heavy and bulky, and not thin like there is nothing to it. I have washed it, the delicate wash cycle, and low tumble dry, no problems at all! Love the colors on this. One side is the chevron with the splash of color towards the top, and the other side is just the solid light gray color (reversible). The shams are cute, as are the 2 accent pillows. Great purchase! Nice bedding set. Not too thin or thick. If you are wanting something heavy, this is not the set for you. Overall good value. Purple bleeds into the lighter colors when washed. This looked very nice when it arrived. However, before putting it on my bed, I washed it and the dark purple bled into the lighter colors. Now, it looks terrible (much worse than the picture reveals). I definitely recommend against buying this low-quality bedding set. I don't have experience with other items from this company, but I would be leery of those as well. This bed set is great, looks exactly like the picture. Good quality in material and keeps me warm at night. This comforter is great for the money, however, it barely hangs over the sides of the king bed. It should have been about 6" longer on every side. I bought this bed set for my 11 year old daughters bedroom. Out with the old (pink everything) in with the new (turquoise). Made her room look updated and age appropriate. You get what you pay for, meaning it's not high quality but does the job. I'm careful about how often I wash this comforter as the filling is cheap. She loves it! If something gets spilled and stained...mom loves that I can toss it out and not be bummed I spent a lot of money. Very soft and super full. I purchased the king size for my queen bed and it fits PERFECT for hanging over the sides. You will be overly surprised with the feel of this comforter. I bought this for my daughter and she loves it! My daughter loves this comforter, she says it so comfy. The comforter is very soft and fluffy. Nice Set! I really like the quality of this product and the colors are really what you see in the picture.. my daughter loved this set so much that my younger daughter was just ordered the same set for her room. This set was not everything that I thought but it was a good purpose. I didn’t realize the color that I purchased but it will go with my color scheme. The material was really nice and feels a bit comfortable. Glad that I made the purchase. My daughter loves the bright fabric. The fabric is lightweight and easy to clean. I got the yellow trim for my 14 year old daughters room. She loved it! Great product and great customer service. This item never arrived at my house even though it had been verified as shipped. Somewhere between UPS and my house it disappeared. Overstock shipped a second one without question. Bought the item a few months ago but only started using it now with the arrival of spring. It arrived fast and it looks great, in addition to looking very nice with a ‘happy’ color and design. I will update the review once I wash/clean it. I’d recommend it! "Will this set match the Porch & Den Carytown Dooley Chevron Printed Grommet Top Curtain Panel Pair ITEM#: 19424553? It looks like they are made to go together......This set says teal, but looks more aqua and the curtain set says aqua, but it's hard to tell if they are the same color." I apologize, but unfortunately I do not know anything about the color matching aspect of the items you are inquiring about. If I was an employee of Overstock.com, perhaps I could help you, however I am not. I hope that an employee from Overstock.com will be able to help you with your questions concerning the color aspects. Yes, they do have different color descriptions but are so close in color you'd never know one is aqua and the other is teal. The color is aqua not teal. 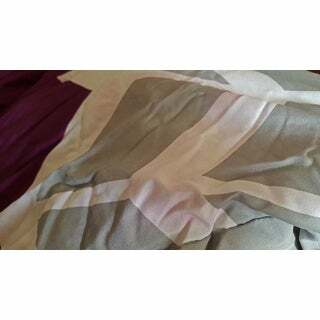 "Do you sell the bed frame pictured with the Intelligent Design Laila Teal Comforter through Overstock? If yes, how can I search for the bed frame on your website? I would like the bed frame in a queen size. Please tell me more about the bed frame." "Does this set come in a Peach color?" "Is the color closer to teal or Aqua in the matching sheets? The intelligent sheets come in Teal or Aqua, the aqua looks like it matches but the pictures may be distorted." The color is definitely aqua! "How can you buy extra pillows accessories pillows for the bed sets"
"What is the measurement for the King"
The king measures 104 inches wide x 90 inches long.